This post will be a relatively brief discussion of a recent studio lighting situation. 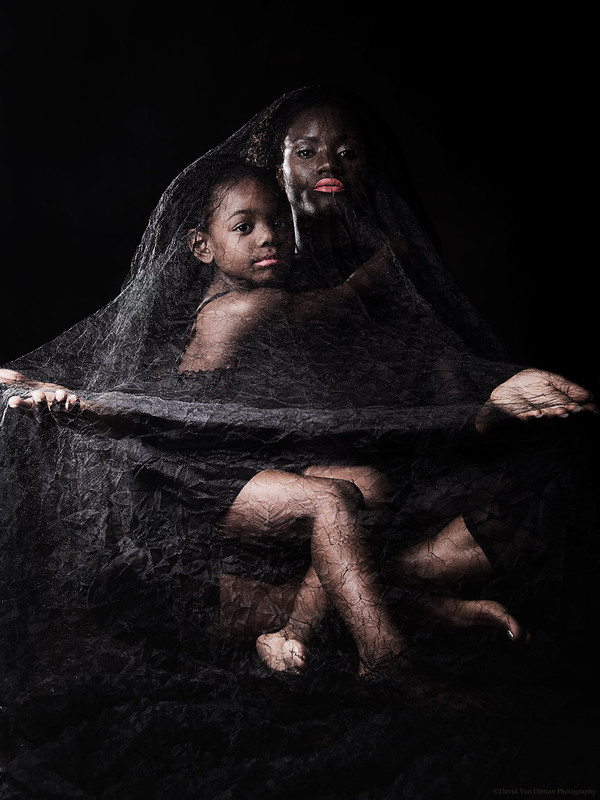 The set-up was deceptively simple…models were sitting on the floor and covered with a fine black netting which we were trying to use to create a dramatic conceptual image. Trouble was, most standard lighting arrangements gave a very flat and lifeless look to the image. After a few tests and considering the available lights, I came up with a set that brought out the texture in the fabric and highlighted some edge detail, while allowing the shadows to create a deep and moody feel to the overall image. 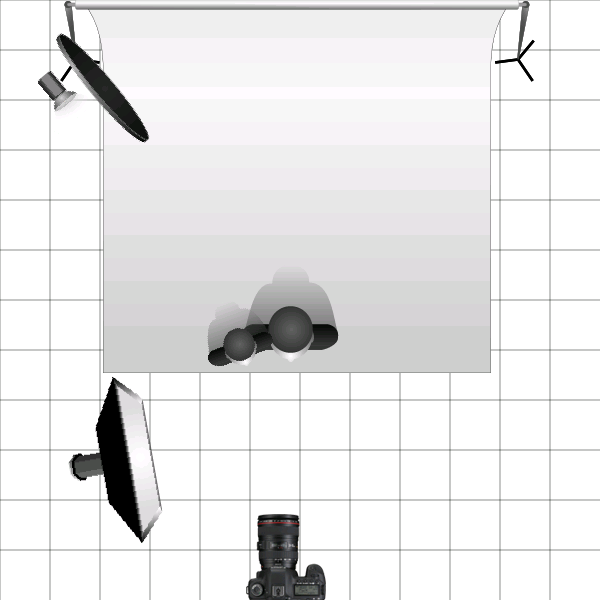 The lighting diagram here shows the overall layout of this image. The main light was a 3 x 4 softbox set to fire across the front of the models, feathered so that the models were in the light coming from the side of the softbox, rather than straight on. This arrangement put the subjects in very soft lighting that faded from left to right, highlighting the texture in the fabric and creating a dramatic split-light effect on the models faces, while providing just enough light on the right to give some detail to the shadowed features. Finally, a rim light was set in the back to provide edge detail to some of their features. This light had a black panel used to block any light from spilling on the backdrop, keeping the background of the image dark. The final image is one of my favorites from what was a fantastic studio collaboration. Thoughts or questions? – leave a comment!! What would you have done to light this type of image?